For better or for worse, family ties make a great story, whether it's ancestral history in L'antiquaire, blended families in Comment j'ai rencontré mon père, or staging a bank hold up to help a sick brother in Amis Publics. This month we are presenting a six-film lineup in celebration Isabelle Huppert, one of France's most talented actresses with over 100 acting credits and honors from the Cannes Film Festival, the César Awards, the Lumière Awards, and much more. 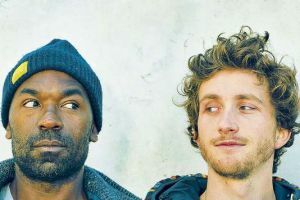 For the 6th year in a row, TV5MONDE is partnering with the Seattle International Film Festival to bring TV5MONDE Cinema on Demand viewers eight recently released and critically acclaimed films. SIFF's French Cinema Now Official Selections will be made available on October 5. There's a variety of choices this month, including a wacky comedy, an insightful documentary and thrilling dramas. It will all be broadcast on TV5MONDE, with English subtitles! TV5MONDE Cinema On Demand presents in September a selection of films - from thriller to comedy - where women take center stage. Jean Dujardin's latest comedy, Omar Sy in the biopic of the first French black entertainer, and some moving dramas will be broadcast this month on TV5MONDE, all with English subtitles! The year is 1943 in Nazi-occupied Paris and Django Reinhardt is at the pinnacle of his art. The brilliant and carefree jazz guitarist, king of ethereal swing, plays to standing-room-only crowds in the capital's greatest venues. Meanwhile his gypsy brethren are being persecuted throughout Europe. His life takes a turn for the worse when the Nazi propaganda machine wants to send him on tour in Germany. Each week, FrenchFlicks selects a French film available on TV5MONDE Cinema on Demand or TV5Monde. 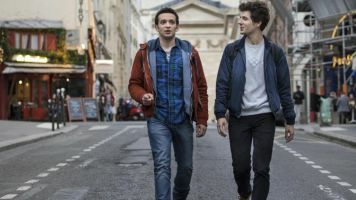 This month, enjoy the verbal jousting of What's in a Name?, a very French comedy that focuses on its impeccable and ferocious dialog and star-studded cast. Each week, FrenchFlicks selects a French film available on TV5MONDE Cinema on Demand or TV5Monde. Among them, Wild Life, a psychological drama that will shake you to the core, and make you question yourself about parenting, nature, survival, and humanity.